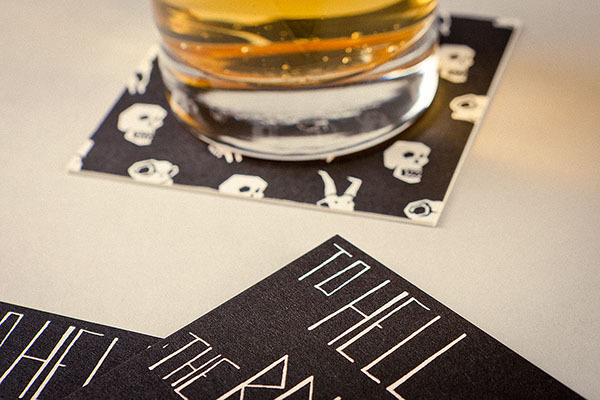 Beer coaster with skull pattern. 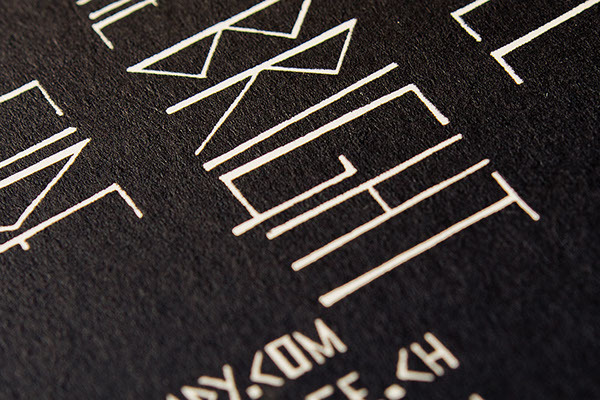 Illustrated with fineliner and screen printed on cardboard. 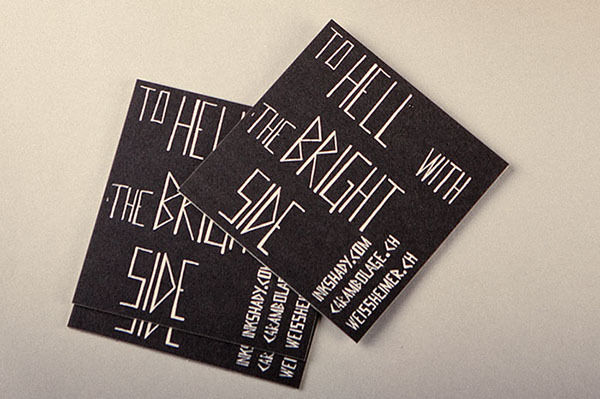 They were printed for my Exhibition in Basel titled: TO HELL WITH THE BRIGHT SIDE. 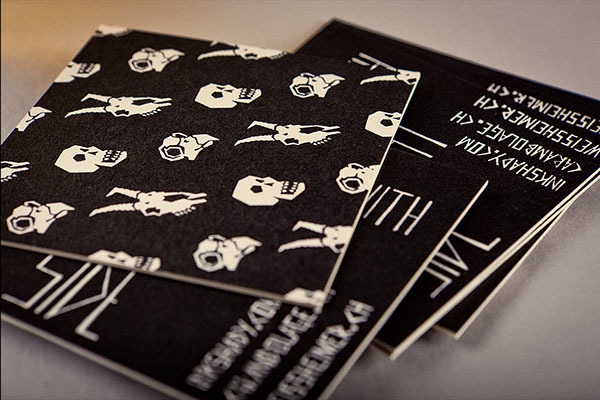 Download the Ink Shady Skulls-Wallpaper for iPhone 4, iPhone 5 and iPad Retina. 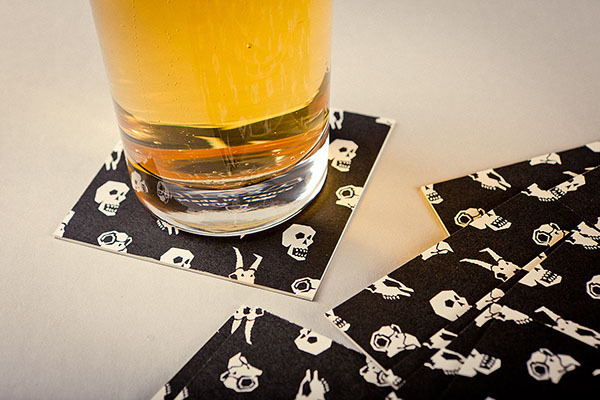 Skull pattern beer coaster. 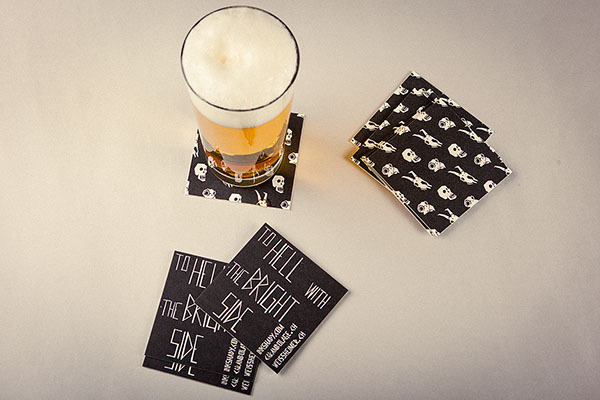 Branded with the title : TO HELL WITH THE BRIGHT SIDE!